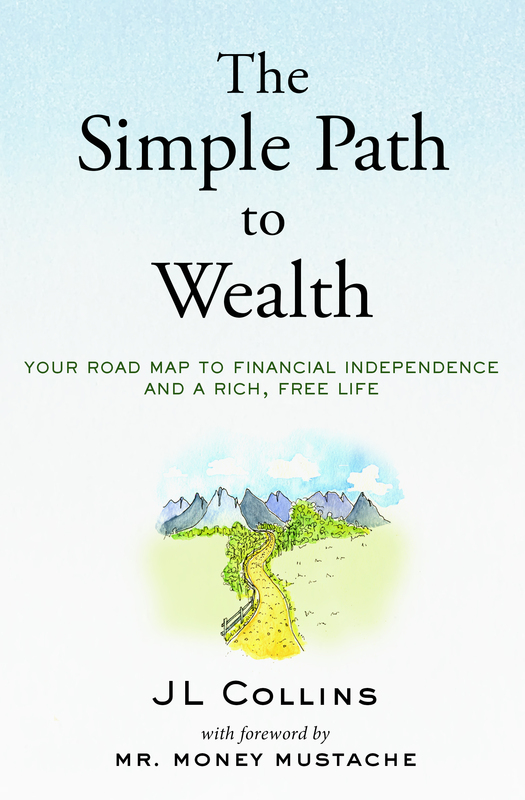 You’ll be shocked to hear this, but before I read JL Collins’ book “The Simple Path to Wealth: Your Road Map to Financial Independence And a Rich, Free Life,” I did not 100% understand the rationale behind my own stock market investments. 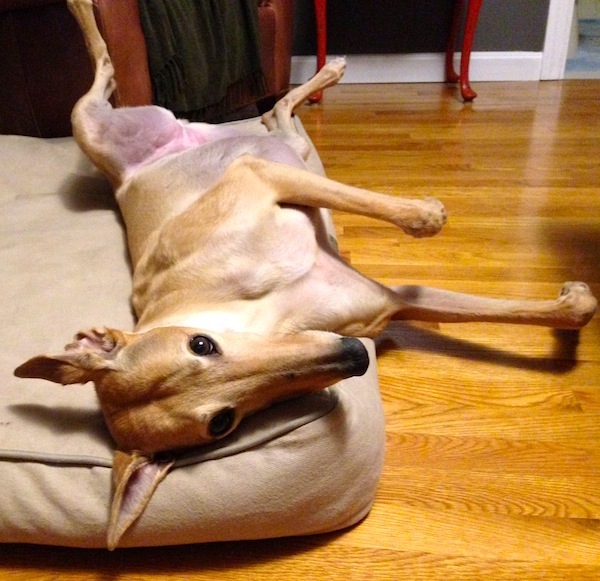 So soldier on here, partner, and I’ll reward you with a Frugal Hound pic if you make it to the end–no scrolling without reading (I’ll jump through the internet and whack you on the wrist). Not gonna lie, I learned quite a bit from Collins’ book. I thought I knew what I was doing–being a fancy internet finance writer and all–but let me tell you what, I am all the smarter after reading this work. Hence, this is not some BS book review that I’m writing because I feel like I have to. I’m writing this because I am on fire with knowledge! Fire, I tell you. 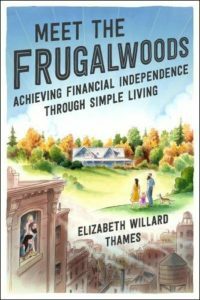 As regular readers know, I don’t often review books, products, or, well, much of anything here on Frugalwoods. Except in extremely rare cases where I truly believe in something and hence, think you all might be interested too. When I found out my friend JL Collins was writing a book, I knew it was something I’d want to share. Because Collins’ site is my go-to for sane, rational investing intel. I tout the mantra of “low-fee index funds” and the “set it and forget it” investing mentality, but Collins provides the explanations, theory, and historical data for precisely why this approach is wisest. In his book, Collins sets forth his straightforward financial guidance in a humorous, easy-to-understand, and delightful pattern. This is no dry economics text. This is no tortured fiscal advice column thinly disguised as a way to peddle unneeded financial products and services. Nay, my friends. This is some candid, honest, really good (and really well-written) financial truth-telling. If you’ve ever wanted to understand why nearly all of us early retirement/financial independence writers* adhere to what’s often termed the “Bogleheads” method of DIY long-term low-fee index fund investing—and if you’ve ever wanted to do it yourself—then Collins’ book is for you. I’m the first to admit that I’m not a financial expert, nor am I an economics whiz (laboriously eking out an A- in my grad school econ course remains my highest and most distinguished accomplishment). And yet, I enjoy personal finance. Collins’ book is the perfect illustration of why I feel this way. *Coincidence that those of us who retire early follow this investing methodology? Methinks not. 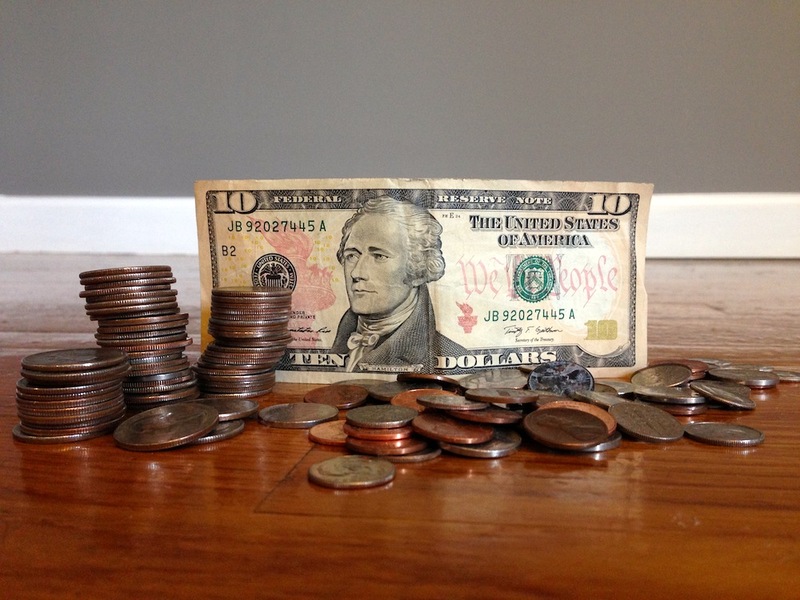 For the Love of Frugal Hound, Manage Your Money Yourself! Managing your money yourself—and growing your wealth—isn’t about complex day trading or bizarre get rich quick schemes, it’s about following Collins’ simple premise: “spend less than you earn—invest the surplus—avoid debt.” That’s basically it and we could stop right there. Fortunately for us, Collins goes on to outline exactly how to do all of this, and particularly the “invest the surplus” element, which is absolutely crucial if you want your money to, ya know, grow. I receive a veritable ton of questions from readers asking how to start investing and how to manage investments, and I’m so glad that I finally have an answer for all of you: read JL Collins’ book! I agree with his philosophy, I like his writing style, and he’s a supremely nice guy to boot. So I’m sorry for all of the emails, tweets, and comments about investing that I haven’t previously replied to—please consider this your answer! The only appreciable difference in Collins’ investing approach and ours is that he’s invested in Vanguard’s Total Stock Market Index Fund (VTSAX) and we’re invested in Fidelity’s Total Stock Market Index Fund (FSTVX), for the simple reason that we have all of our accounts through Fidelity and thus it’s very easy to transfer money. Either VTSAX or FSTVX is great as either is what you want: low-fee index funds. The salient point with either Vanguard or Fidelity’s total market index funds is that your money is spread across a large number of funds in the broader stock market and you pay very low fees. The best part about this investing approach (other than that it works) is that you can do it yourself. We frugal weirdos are inveterate insourcers, so this is fabulous news! You don’t need to—and I’d posit shouldn’t—pay a professional to manage your funds for you. These so-called “managed funds” typically deliver lower returns than our aforementioned low-fee index funds. Collins puts an even finer point on it: “82% [of managed funds] failed to outperform the unmanaged index. But 100% of them charged their clients high fees to try.” So, yeah. And in case that first quote didn’t drive it home clearly enough, here’s another Collins zinger: “…the simple truth is this: the more complex an investment is, the less likely it is to be profitable. Index funds outperform actively managed funds in large part simply because actively managed funds require expensive active managers.” Damn. So why do such things as managed funds and so-called ‘expert market predictors’ exist, you might wonder? Because there’s money to be made in trading on the fear and greed that motivate most investors. Plus, as Collins adeptly notes: “Nobody is going to sit glued to their TV while some rational person talks about long-term investing.” And there it is. Long-term, low-fee index fund investing–much like frugality–does not generate revenue for businesses, banks, and marketers; hence, these lovely topics rarely show up in the mass media. Consequently, you have to read about them from weirdos like me and JL Collins and, as a result, put up with the odd greyhound photo or two. You’re welcome and I’m sorry. Would You Like To Start Investing Today? Have I sufficiently lit the investing fire ‘neath your rear? I’m glad to hear it! If you’re a human (sorry, hounds cannot set up accounts) and would like to start investing your money in a low-fee index fund today, here is what you need to do: sign up online with either Vanguard or Fidelity, select their low-fee “Total Market Index Fund” and decide how much money you’d like to transfer from your checking account into the stock market. It’s essentially the same process as setting up any other online banking account. I’d include more instructions, but there’s literally nothing more to it than that. The caveat here is that I encourage you to read Collins’ book first so that you understand why and what you’re investing in, but the actual mechanics of investing are ludicrously simple. I’m pretty sure it would be more difficult to buy a trash barrel on the internet (awkwardly sized! who will deliver?!). Did you think it was more complicated? If so, then the well-paid fund managers on Wall Street are delighted that their subversive marketing has worked! But don’t be embarrassed because I used to think it was disastrously complicated too. Now you know that investing is something you can manage on your own. The overarching message Collins conveys, which I agree with, is that investing is not a short-term proposition. No one can beat the market and no human* knows when to buy and when to sell and so, one should simply remain invested for the long-term. That’s key to understand: there are only gains to appreciate for those who buy and hold, hold, hold. By the way, in case you’re wondering, I’m not a financial advisor of any sort and neither Fidelity nor Vanguard pays me any money to tell you this. *Humans, no, but the ebullient John Oliver recently introduced us to a stock-picking cat (yes, an actual cat) who apparently knows what’s what. P.S. The fact that a cat (yes, one that meows) beat out managed funds should give you a sense of how worthwhile they are… uh, yeah. What do you think when you see a fat stack of cash like this? It must be, like, at least $15!!! Furthermore, far too many of us allow fear and greed to rule our financial decisions. But as Collins adroitly explains, fear and greed are folly. It’s all about taking a rational, long-term approach to investing (and saving and spending, blah, blah, blah). Fear will prevent you from deploying your money in beneficial ways—that is to say, investing. And greed is equally devastating as it can cause us to try and time the market–jumping in an out when we perceive we’ll net the largest return. But attempting to time the market is nothing more than a fool’s errand. Another aspect of Collins’ book that I found useful is the diversity of age perspectives he offers. Collins and his wife are in their 60’s and their daughter in her mid-20’s–through these two lenses of his personal life, he discusses both the wealth accumulation and the wealth preservation phases of investing, which makes the book applicable to readers of all ages. Financial independence is not complicated to achieve, but it does require a very specific mindset: the disavowal of consumer culture, a commitment to saving, and ultimately, a delight in creating a good, simple life (which, not coincidentally, includes simple investments). In his chapter on debt, Collins speaks of the predilection of credit card companies to charge insane interest rates and asks, “Did these people [his credit card company] think I was stupid!? As a matter of fact they did.” And this is so tragically telling of the rampant financial illiteracy in our country. It’s not our fault–we’re not taught about financial management in school and then the media and marketing bombard us with the impression that growing wealth and managing money is ridiculously complicated. In reality, it’s not. It’s just that, “…debt has been promoted as, and largely embraced as, a perfectly normal part of life.” But debt does not have to be part of your life, and you don’t have to be restricted by its shackles. I know it’s tempting to cover your ears, shut your eyes, and start belting out “Yankee Doodle” anytime you hear the words “investing” and “money management.” Why do I know this? Because I used to be that Yankee Doodling person. But here’s the thing: if you don’t take charge of your finances, you’re shooting yourself in the proverbial foot. No one else is going to manage your money as well as you will yourself. And the only person who truly has your best financial interests at heart? Oh yeah, that’d be you. So do yourself a solid, check out Collins’ book, and then manage your money like the boss you know you are. For me, the pursuit of financial independence has never been about retirement. I like working and I’ve enjoyed my career. It’s been about having options. It’s been about being able to say “no.” It’s been about having F-You Money and the freedom it provides. It’s a big beautiful world out there. Money is a small part of it. But F-You Money buys you the freedom, resources and time to explore it on your own terms. Retired or not. Enjoy your journey. I think we all know that “F” stands for Frugalwoods here. Yes indeed, I want you all to have your very own Frugalwoods-You Money, because with that money, your world is suddenly your own. You can stop working a job you don’t like to support a lifestyle you don’t enjoy to impress people you don’t care about. And instead? You can find fulfillment by pursuing your passions. THAT’s what F-You Money is all about. Of course this is a gross oversimplification as I attempt to distill an entire (and superb) book into a brief post. So, before I quote the entire tome, I think I’ll just stop and encourage you to read the book for yourself. And then go start investing! Are you following the simple path to wealth? If not, what’s stopping you? I had heard he had released a book. Thanks for a great review Mrs Frugalwoods and I accept your apology for not replying to my email ???? Maybe try discretely dropping copies of this book off on your colleagues’ desks ;)? It’s such a good point that people often do what they always do or do what everyone else does. It’s all they know! I’ve always done my best to encourage my peers to take control of their finances, but I never want to overstep so I always wait until asked. I think it’s important to challenge what’s there. It does sometimes make sense to have a financial advisor assist (if you’re someone who would turn around and sell in a down market or if you need encouragement/help to save more), but there’s no reason you can’t still be in low cost index funds. I have older relatives who have advisors and are trying to amass a bloody fortune, though. They don’t realize there’s an easier way to life after quitting work, without the fancy cars and fancy excessive houses. To each their own, though. This sounds like a great book, I’ll have to check it out! I literally know nothing about the stock market so I’ve just been investing in funds like these anyways. It’s great to know that I’m headed in the right direction, even if unintentionally. Our investing strategy is similar to yours. We use Vanguard and invest in low-cost index funds. I generally invest in the same 3 funds, and we don’t think much about it at all. I am also fairly disinterested in individual stocks or trying to time or beat the market. I like my investing strategy to stay as boring as possible. you use a regular brokerage account or an IRA? Nice! I love JL Collins’ blog, so I’ll definitely have to give this book a read. My investing strategy is mostly low-cost index funds through Vanguard, too. And I absolutely loved that clip from John Oliver! There’s no evidence actively managed funds out perform index funds. Ha-ha! 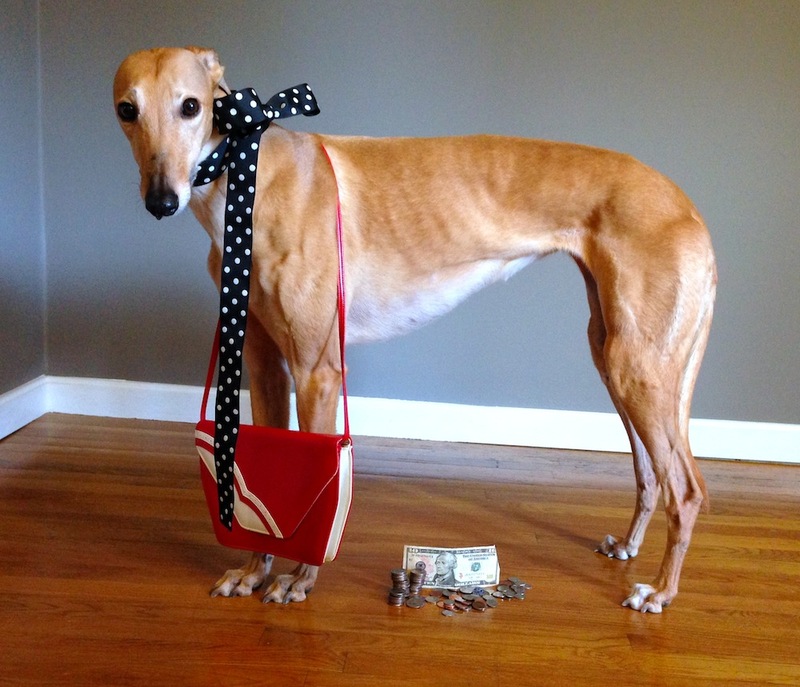 Frugalhound with a tie and coin purse! And glasses! Lol. Great question! Yes, these index funds can be withdrawn from (or completely liquidated) at any time without penalty–although the best way to realize gains is to invest your money and leave it in there for a long time. While a traditional retirement savings account (like a 401K) should also be invested in a low-fee index fund, what I’m talking about today is separate. Collins does a great job of explaining these differences in the book as well and has a whole chapter on 401ks and the like. Some of them have a small fee if you sell them within a certain number (usually 90) days of purchase, but after that there’s no fee. Wow, yet another blog recommending this book in the last couple days. Please tell us Mrs. Frugal Woods, how were you compensated for this review? I wasn’t compensated at all. I simply believe in this book–it’s a well-written book from a person I really respect. Thus, it has the Frugalwoods seal of approval! some people are just jelly. I appreciated the good review! Tara, What does “some people are just jelly” mean? We use Fidelity too because it was an option for my 401K and it’s nice to have our retirement and personal accounts at one place. They also have a Fidelity Rewards credit card with 2% cash back on every purchase if you transfer the rewards amount into your investment account. Plus, there’s a local office where we can meet with an advisor (for free) anytime we want, which is mostly to help with paperwork if we do a rollover. We use a combination of their index funds: Total Market, International, REIT, and Bonds. All can be traded with no fees and have tiny expense ratios. Thanks for the book advice-it’s now on my reading list! Don’t you have to have $10,000 minimum to invest in VTSAX? I think that might put it out of reach for most people who don’t have that kind of cash lying around. I know I don’t! This was something I noticed, too, when I was looking around Vanguard’s site. While my husband and I do have that amount around, it’s not exactly expendable or doing nothing (emergency fund). I wonder if there’s something similar with a lower barrier of entry? Vanguard offers a whole stock market ETF. It has no minimum. You could invest in VTSMX (minimum of $3,000). It’s basically the same thing but the expense ratio is slightly higher (.16% for VTSMX vs. .05% for VTSAX). If you keep investing and get above $10,000 you can convert to VTSAX and get the lower expense ratio. Vanguard is awesome! This is a great point and Lindsay has the answer–you can just start in a different fund and graduate up to VTSAX. Even with a slightly higher expense ratio, you’ll still be better off with these low-fee index funds than with a fund manager. And I know Fidelity has a similar system that other readers have utilized. My IRA has been with a financial adviser for a long time (well before I thought about FI and managing it myself) because at the time I didn’t have a clue. It’s time to part ways with the advisor, but it will be tough because he is a long time friend. FYI – It looks like the book is available on Amazon’s Unlimited plan (which is a $10 monthly fee, free for first 30 days now). Love the review – It is on my reading list and I get more excited to read it with everything I read about it! I ordered the book this morning! Thanks for the run down. In a manner that I’m sure would be approved of by the Frugal community, I sent a request in to my public library this morning to order this book for their collection and got a message back that they should have it in a few weeks. I can’t wait to read this book! The reward pic was fabulous. Great to see so much of Frugalhound in this post! Thanks for the book review Mrs. Frugalwoods. I don’t often comment, however, this post brings up something I’ve noticed about the personal finance/frugal community, and that is the fact that there is very little discussion of wealth creation. Most blogs focus on reducing spending, but very little on increasing income. Getting spending under control is crucial, but that is only half the equation, and the most anyone ever seems to talk about when it comes to investment is to put money into index funds and hold them a long time. I was wondering if maybe you could tell me why you think that is? Most wealthy people only use stocks and bonds to preserve their wealth, not create it, with very few exceptions. Starting a business and/or investing in real estate to create wealth affords many different advantages that stocks and bonds simply don’t have. For example, with real estate, you can use leverage to utilize other people’s money to create wealth for yourself, save money on taxes by writing off depreciation, business expenses, and mortgage interest, and forcing appreciation on a property by improving its appearance and financials, etc. Plus, your tenants pay your mortgage for you! Even if you don’t feel like acquiring properties or managing tenants, compound (not just average) returns of 10-20% are very doable even as an equity partner, without all the hassle of running a business and without the volatility of the stock market. I know that reducing spending is important (aka preservation of capital), and the advice you and other blogs provide is invaluable and changes peoples lives. It just seems to me that if people put as much thought into using proven ways to increase their income as they did to reducing their spending, they could supercharge their growth and achieve financial independence in a few years, without resorting to drastic measures like Jacob in Early Retirement Extreme, and without needing six figure salaries. Maybe I should just start a blog? Some blogs definitely do talk about wealth creation! For us, we’ve considered a side business or becoming landlords. But there’s a time element to it. One might get lucky and have awesome tenants and thus a fairly hands-off income stream (or at least someone else paying your mortgage). On the other hand, if you have difficult tenants, the work can increase exponentially. We’ve had friends and family all have challenges being landlords, and that puts us off the idea. For us, frugality and investing is the better option, especially since we are not particularly interested in early retirement. But there are many options for financial management. You can just buy VTSMX and when you hit 10,000 it will magically get turned into VTSAX. That is what I am doing. I will definitely be checking this book out. Just entered the world of low index mutual funds and it’s exciting to invest without paying anyone. I was wondering do you have a plan to do a post on whether or not to open a 529 for your child vs investing more money in 401k/low index funds/Roth Ira etc. I have had several people tell me to not invest in a 529 but focus on my own retirement and pay for my child’s college later. I’m a new mama at 27 and I am not sure the best way to approach this and hoping you had a post on this already 🙂 thank you! That’s the order, so the most important thing is the match followed by that Roth IRA. We don’t max out our 403(b) — and some would recommend doing that before college savings — and then we contribute an amount we are comfortable with for college savings. We pay ourselves first, and those first four are always part of it. We also pay ourselves into a savings account that’s a mix of emergency/vacation/house down payment/car savings. Whatever extra I glean out, due to frugality or savings, goes into the no-fee index funds. You have to find the balance that feels right and realistic for you. Thanks for the info, unfortunately for me I can’t invest in these as I’m from South Africa and even the international Fidelity does not have facilities for South Africa. Hi Magda, have you looked at the SATRIX website? another SA Caroline here, I was JUST thinking that and I will now look at the SATRIX website! I think at least part of the problem for a lot of people is that there are so many different things to invest in and that they don’t know where to get started. There are thousands of books you can read on investing, and they all say something slightly different. There are thousands of different managed funds or stock to invest in, and they all sound as though they are the best possible thing to invest in. There are millions of properties people can buy. There are lots of different vehicles through which you can save money (401(k)m IRA, Roth IRA and all the rest of it. And so plenty of people just keep reading or just keep looking at investments because they’re still not sure. So as much as I hope this book does some good, and I’m sure it will, the reality is that a lot of people want some guidance on how to invest, what to invest in and what structure to do it through. This is where a good financial adviser can help the average person who wants to do the right thing but isn’t sure about how to do it. I am excited to read this book. I recently moved from a full service brokerage to handling my investments myself (Schwab) & could use a encouraging read. Way to go! Now you can invest the money that you would’ve been paying in fees! Rock on. I’m just wondering how helpful it would be for someone outside the US? I’m in the UK. I’m convinced by Vanguard and passive investing but I could really do with someone talking me through the details. I know there are UK based websites such as Monevator and The Escape Artist but even they quickly becomes very complicated and off-putting. I could really do with someone spelling out the steps as you have here! Unfortunately, the book is quite US-centric, so I’m not sure it would be useful for you in the UK. I wish I knew of a similar text for the UK–let me know if you find a good one! On June 20th, The Escape Artist, who you mention, put a review of it on Amazon. He also sent me a nice blurb which is in the book and in my post announcing its launch. Hopefully this will give you a sense of whether it is right for you or no. Smarter Investing by Tim Hale is quite good. F-You Money ~ Love it! I’m a huge proponent of reaching financial serenity. So glad I found your site! This is a great review! I loved the book too, and I think it’s one that everyone should read. If only we could make it required reading in the schools, just think how much that would help everyone! I am honored and humbled. What a wonderful, and well written, review. 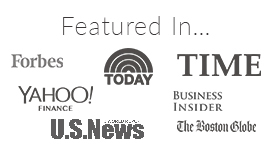 As one of your commenters above obsessed, quite a few bloggers have chosen to review my book. I’ve been trying to collect them and to select a quote from each that especially resonated with me. Tough to do with your post, just about every line is quotable! Thanks, and thanks to all your readers who chose to pick it up. My large urban library system doesn’t have it! Filled out request. It asked where I heard about the book, so I included a link to your blog. Fingers crossed. We have only about 50 thousand in investments, but I do want the best for them. And the kids have low five-figures each ($$ provided by Millionaire Grandfather) in their 529s for me to manage. I actually enjoy “Flagship” service at Vanguard because my grandfather has over a million dollars there. I don’t really know what this gets me except that I have a phone number I can call and a real human being who can help me always answers. This post is perfect timing for me. I actually was on Vanguard’s website this weekend checking everything out and plan to get my account opened hopefully by the end of this month. Question- I’ve had a Roth IRA with another company for years and while there may be some fees, they are very low. Do you think there would be any advantage of moving it to Vanguard as well or would you just leave it where it is? Great post, and it looks like I’m definitely going to have to grab a copy of this book! Thanks for sharing! We are heavily invested in VTSAX. I agree with Lindsay that if you don’t have the $10000. initial investment that you can buy VTSMX where the initial investment is $3,000. I am very happy with this fund and others in Vanguard because of the low fees and the great management of this and other funds. But before you invest make sure that you do your own research. Thank you thank you thank you for sharing this. I too am a Yankee Doodler who’s been looking for a resource on common sense investing advice. Mr. Picky Pincher is the numbers person, but we both need to be educated about where we want our money to grow. You know where the term Boglehead came from right? Jack Bogle at Vanguard. Yep! Collins does a great explanation of Bogle’s theories behind starting Vanguard in the book. Thanks for linking to that interview! I’m a big Mad Fientist fan, so he and Collins together is pretty great! Thanks for the prodding! 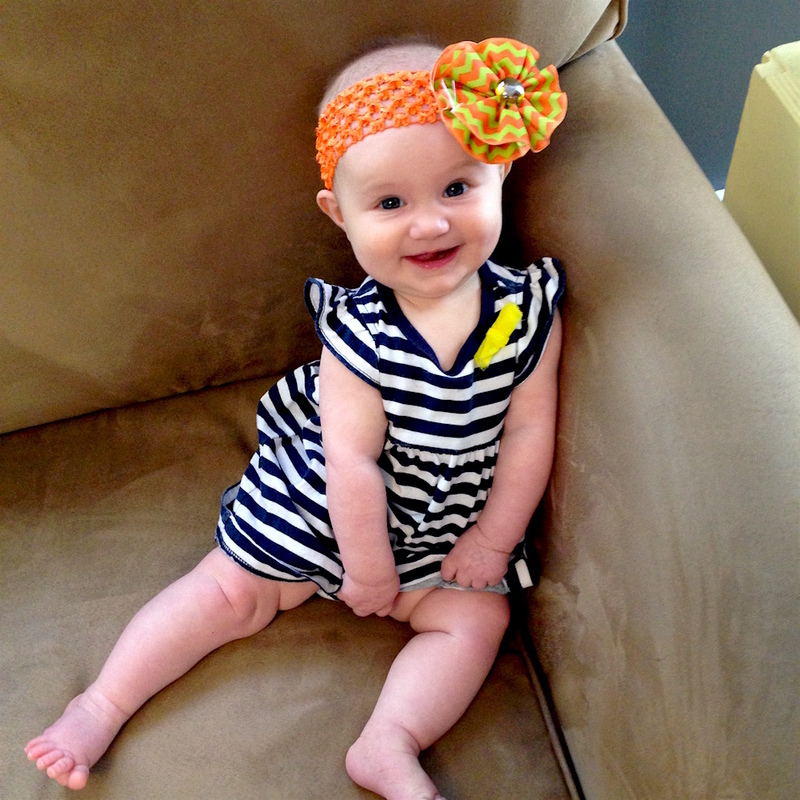 Just made our first small non-403(b)/Roth IRA stock investment. Whoo! We bank with Schwab, so this was beyond easy. I didn’t even have to open an account. Now, to go find more money to squirrel away into there. I think this might be just as addictive as shifting money into my high interest savings account. I love Collins’ advice. Thanks for distilling it so well. Thanks for another interesting and informative post, as well as the cute photos! Would the book be applicable to those not in the US? I am in the UK so I am wondering whether it would be relevant to me. If not, is there another similar resource that you could recommend for someone in the UK? Getting a good set of habits and making yourself familiar with it are just really important in money management. These two can take you a long way in this financial journey as every decision is inlined with the good habit, so it produces a good consequence. Looks like an interesting book. Is this a sponsored post? No, it’s not. I didn’t receive any compensation–I just think it’s a really awesome book! Thanks much for the great book review! I bought and read the book last week. It’s exactly the clear and straightforward investing advice I’ve wanted for years. Thanks also for mentioning the Fidelity fund you invest in for wealth accumulation. My 401k at my new job is with Fidelity and I will redirect my and employer contributions to that fund this week. Your and JL’s help us greatly appreciated! Frugel Hound and Babywoods are beautiful! So glad to hear we could help :)! We’ve been really happy with Fidelity thus far, so I hope it works well for you too. Yes, good plan to go with the low-fee index fund for your 401K! Thanks for the fantastic book review, and the concise and helpful summary you’ve provided. I’m glad that you call the so-called “Yankee Doodle” people to action, as investing really is less complicated than people want to make you think! You just have to research and read books like these, and you’ll be financially independent in no time (ehh, some time). Hope people take your advice and really follow there hearts and dreams here. Thanks again for sharing! To open vanguard account you must be in the US, I’m in Australia and our vanguard has management cost damn it. And no online quick easy sign up like your US vanguard.. Grrrr! Why is it more complicated in Oz compared to US, I’m not sure but really annoying as I was ready to sign up..
Hi Karena, I KNOOOWWW! I’m so disappointed. Have you found an alternative here in Australia in the meantime? From what I can see, the only way to invest in an index fund here is through Vanguard. This is what you do with leftover cash *after* funding 401k’s right? We have a manager to do 401k’s (rollovers and from sole proprietor business) and 529’s. Is there a way to get around all that and even do that part ourselves? We handle the 529 ourselves. It’s just like opening the IRA account with Vanguard. If you google your state and “529” you should get to a link to a website. So i bought and read this book over the weekend. very informative, a little bit repetitive, but its so simple i guess the only way you can describe it, is to repeat yourself. Thanks for the recommendation. i have some younger family members who will be getting a copy of this book. I wish i had a better understanding of this 10 years ago. all well. i still have plenty of time to make up for my lack of action. Okay, I know this is an older post – how did I miss it??? 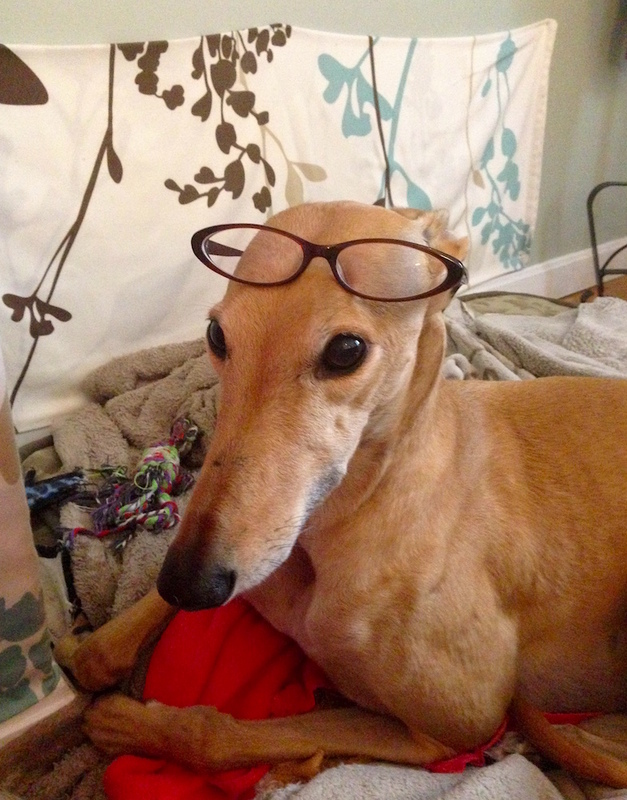 But I have to say that is one incredibly cute “random cute pix of Babywoods.” Also, Frugalhound looks simply dashing! Thank you for the book review – will be looking it up. Reading this post late, and probably will not get a response, but need one!!! First, I wish you smart people would provide explanations behind your abbreviations!!! I am already lost and scared!! Second, is it too late to get into index funds if I am nearing retirement? We seem to have a very complicated system set up with our financial advisor (yes we embarrassingly have one – I even have a second one stalking me!!! how to tell these ppl NO). I ordered the book!!! Hi Trish! Glad to hear you got the book–it should answer most of your questions far better than I can :). What abbreviations are you wondering about? thanks for replying!! the abbreviations in the comments above – VTSMX, and then VTSAX.. Think I got that right. I understand that they are different Vanguard accounts, but beyond that I don’t know. We’ve been doing this for years ourselves. I think I’ll order the book for the fun of the reinforcement. 🙂 I have recently found your blog and I’m loving it. BTW, my husband works for a privately held finance firm (in other words, they invest their own money, not clients) and while they do some fancy stuff and make money, their advice to their workers is exactly this. Though lots of people there make a lot and spend a lot, as expected. Not us! Looking forward to reading more when I can, thanks for writing! Don’t know if you’ll get to this but perhaps other readers have a suggestion — husband and I have a “professional” managing our paltry 401K investments and I’m shocked to see how high the transaction charges are. How do I get my money away from this person so I can manage it myself? It’s a Fidelity account. Great post! I’m currently reading “Money: Master the Game” by Tony Robbins, and the advice from the book you mentioned sounds very similar. I’m excited to read a book that is hopefully (and for me, most importantly) simple to grasp. I’m 60 and therefore older than most of your readers I fear, and as such have a different set of issues to consider. My husband and I, as farmers, have quite a bit of land that we and our sons continue to farm so our investible income is quite dependent of factors (weather, crop prices) out of our control, but we have been extremely careful with our money always buying used equipment, repairing everything ourselves, paying in cash and holding no debt. As a result, we have a nice nest egg now, that basically just sits in an interest bearing (ha) checking account. That said, we are always interested in making investments that will benefit us as we grow older and turn over more of the work and land to our sons to build their futures. Do you believe this book offers good advice for all ages? I can see from your writing that it’s a great read for younger people, but what about us older boomers now looking to coast a bit but don’t want to just use up that nest egg. In other words, can this book be useful to those of us who are close to retirement and need to draw on our nest egg, but still are interested in investing so as to be prepared for whatever the future holds? Interested in your investment thoughts as well as your ideas about the book’s relevance for us. Hi Sharon–one of the reasons I love this book so much is that it does contain useful advice for all ages! The author is himself close to your age and so he covers all the bases. I hope you find it helpful! Thank you for this! I have a question – I have a 401a with ICMA Retirement Corp. My investment options include a handful of index funds (and they all have the lowest estimated expenses – ranging from 0.18% to 0.26%). One is classified as a “Bond Fund”, three are U.S. Stock Funds (500 Stock/Broad Market/Mid-Small Company), and one is an International Fund. I’m 45 years old and have a pretty sizeable amount – but honestly I’m quite lost as to the best place to put the money to maximize it’s growth. Any suggestions on what is the best way to divvy up investments? Thanks! I am new to this. Mrs. F, How much do you they charge you monthly for the VTSAX? Where do they base the charges? Hi Chris: Vanguard and Fidelity are both brokerages, which means they offer low-fee index funds you can invest in. I recommend these two companies because they both offer very low fee index funds. You can choose either. You’re not actually investing in either Vanguard or Fidelity, rather, you’re investing in the entire stock market through the low-fee index funds that these two companies offer. I highly, highly recommend you read JL Collins’ book as he provides a wonderful breakdown of what investing is and how to do it. Best of luck and I hope this helps :)! For an Australian perspective you could read “The Barefoot Investor” by Scott Pape. I haven’t read JL Collins’ book yet, but this post could have been written about Scott’s book. 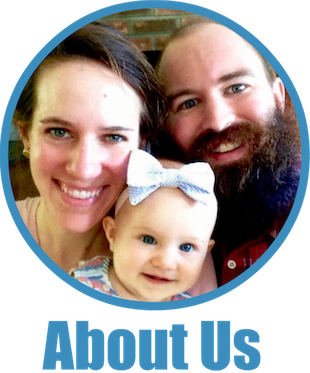 He actually goes further and provides insight into his own investing journey month by month. Anyway, the reason I’m mentioning it is because not all the world is America (IKR?) and the Australian angle in “The Barefoot Investor” is spot on for those of us downunder. Thanks for pointing out an alternative book, I was scrolling through all the comments and have seen multiple non US residents ask the same question. Maybe Mrs Frugalwoods has read “The Barefoot Investor” and has some comments on it for us? I was just about to look for a Google translator to convert these number that commenters keep using 401(k) 403(b) 529 etc into English (Aussie!) Ha! I get that some of them must be the equivalent to out Super but what are the rest of them?!?! A question for Mrs Frugalwood – When you say put surplus into investment do you mean after savings? Or invest your savings? If you are saving for a deposit for a house surely all your surplus goes to that, what’s left to invest? To be clear I’m loving all your advice I just wanted some clarification on at what point and with which money do you start investing. Does anyone know if TIAA also sells low-interest index funds? My 401K is through work/TIAA and it would be nice to stick with them since I already have an account. Thanks! I don’t know off hand, but you should be able to check through your fund documents to identify one–hopefully they do! I called and chatted with fidelity today and the start up worth them is $2500 and converts at $10k. My work retirement plan is with them so thought I would ask. Curious though if people open different low fee index plans or if they just increase how much they put into the one plan once opened. We just cut out cable, a savings of $140 a month and I think it’s brilliant to invest it! I also had checked this book out of my library 4 weeks ago and your blog inspired me to pick it up and actually read it. Read it in less than 2 days! Thank you so muc!!! I loooove reading all of your articles; they help us to focus on out journey towards FI a lot. Do you put a certain amount into FSTVX every month? Because I live in Belgium I cannot invest through Vanguard. So I’m looking at DeGiro and figuring out which tracker / index to invest in, that’s closest to what you describe but doesn’t have too many tax drawbacks because I’m belgian (we have a loooot of taxes, on everything). I’m very proud to start investing in the market as well, following your advice and that of so many other financially independent-lovers. My recommendation is to automate as much as possible to remove the very human temptation to try and time the market. Just invest in low-fee index funds (I recommend through either Vanguard or Fidelity) and then invest more money on a regular, automated schedule. I invest more money every single month automatically. Watching the market, or trying to time the market, is not productive and not worth your time. Hope this helps :)! Well I never knew any of this, like most I felt the Stock market was way over my head…but you and Mr Collins explain it so clearly. He was actually kind enough to give me some pointers on his website. Here in Ireland I’ve just discovered Degiro which is similar to Vanguard & Fildility, very low fees and opportunity to manage your own account. I only just started following your blog and I’m throughly enjoying it. Great message! Just purchased the book on Audibles to begin reading today! Great post, thanks! I’m completely new to investing and would love to explore it a bit more this year. I’m probably going to have a silly question, but figured I’d ask anyway: after investing for a couple of years, how do you get the money out? 🙂 For instance, let’s say you want to buy a house in 10–15 years and pay cash for it, some of which you want to siphon out from your investing account. So, do you just bide your time for a couple of months, watch the market, and sell at the best time? Or do you just take the money straight away? I understand that it’s better to just leave the money alone and let it grow, but let’s say that you really do want to buy that house for cash (or take out enough for a sizeable downpayment). Hello, I am new to your blog and love it. I am old: 72 years! But have always believed in donating what we don’t need. We have moved many times so I have learned to live with less; easier to pack. My question to you has to do with investing. I have just begun reading the book you recommended by JL Collins and am enjoying it. We have very little to invest; having been self-employed and lost everything at least twice, and my husband (age 75 and a contractor) still works. He is a project manager and does very little physical work any more. We were foolish in our younger years and didn’t plan ahead and I would tell everyone to not do as we did. How I’d love to do it over! We have $10,000 in four different places (banks, safe, etc) but need to do the Vanguard or Fidelity (I think you use them?) investing. Vanguard however has to have $10,000 to begin the VTSAX and we just can’t put it all in there. We need some on hand for emergencies. I think you said we can begin a low index investment for $2500? How do I do that and is there anything for $1000 to just begin with? I so hope you will see my comment here and respond!!! Thank you in advance! ETFs are certainly appealing and many people should include them in their investment portfolios. As Liz points out, they are an excellent place for novice investors to begin. They are inexpensive and low maintenance. I think it is great that they are currently working out so well for the Frugalwoods ! But all good investment portfolios are diversified. ETFs should not be the end-all be-all of anyone’s investment strategy, particularly if they’re in it for the long-term. I just want to make sure I did the right thing, I applied for a General Savings Account? Also, since I am not a US citizen, but a green card holder (a resident alien), are you aware of something special that I should pay attention to, or is everything the same in terms of investing as for US citizens? If you enjoyed JL Collins’s book The Simple Path to Wealth, I strongly recommend Burton Malkiel’s masterpiece; A Random Walk Down Wall Street. This is a great read by one of the world’s great (no nonsense) academic economists. Malkiel has been promoting low fee index funds for decades. I know you have recommended both Fidelity and Vanguard? What are the advantages to each? This post is perfect timing for me since I just opened an account at Fidelity and received the Fidelity Visa that puts 2% cash back on every purchase if you transfer the rewards amount into your investment account, and started transferring money this month. Now I need to figure out how to look up the low fee index funds (its not the same as the Vanguard example! Lol). The book has been purchased! I just found your blog a couple weeks ago and really enjoy it! Thank you! !